GIVE YOURSELF A GIFT THIS YEAR. LET US DO THE DECORATING FOR YOU! 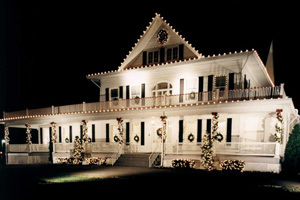 with all types of holiday decorating and lighting. 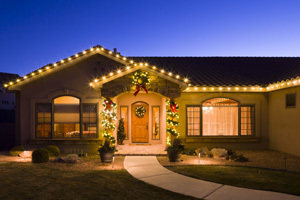 discuss all of the creative ways we can make your house look wonderful this season. 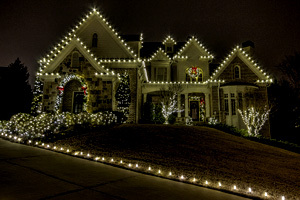 Take some of the holiday stress off yourself and let us take care of your holiday decorating and lighting. into a dazzling Holiday wonderland. Get the most from your holiday decorations. Bookings are limited as the holiday season draws closer. 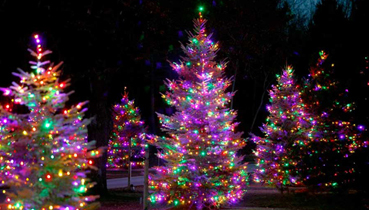 We have the equipment, lights, and experience to safely decorate large trees with just the right amount of lights. You choose the design and we will light up your home. 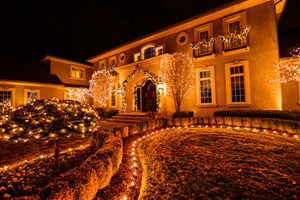 garlands and custom ground lighting products to give your home that special holiday glow. Choose from some of the latest decorating options, from the traditional, to the extravagant – we have it all. Our comprehensive residential services cover everything. 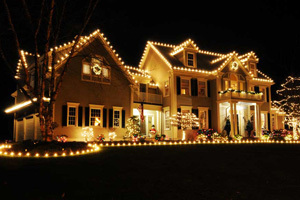 We provide the decorations and our professional installation team does all the work. Our service includes impeccable designs, first class custom installation, proactive maintenance, smooth take downs and yearly storage. Holiday decorating doesn't get any easier than this! Our professional installation team illuminates roof lines, windows and doors. 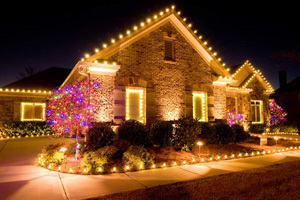 We creatively outline walkways, flower beds and driveways with ground lights or luminarias. 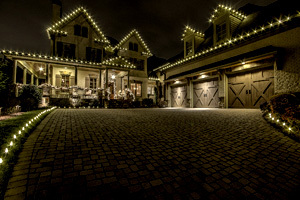 Trees, shrubs and ground lighting add a spectacular dimension to your home that compliment traditional house lighting. Garlands, wreaths, and bows are used around doorways, columns, and arches for a festive daytime look, and to make them stand out at night, we can add miniature lights. Choose from a variety of bulb styles, sizes, and colors for the perfect effect. 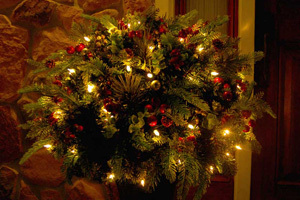 Call early and get the most from your holiday decorations. Medical, Fitness Centers, Gyms, Educational, Senior Services, and much more. 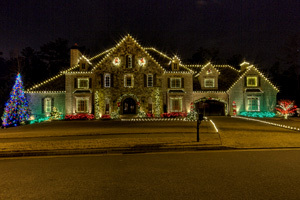 Christmas Decor Lighting Service by Watermark, LLC. 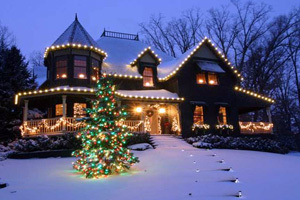 is a local Christmas Decor Installer located in Laurel, Maryland, Prince George's County. 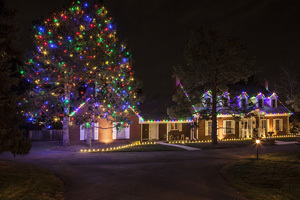 give your home or business a unique way to show your holiday spirit. Call to see if you are located in our service area.